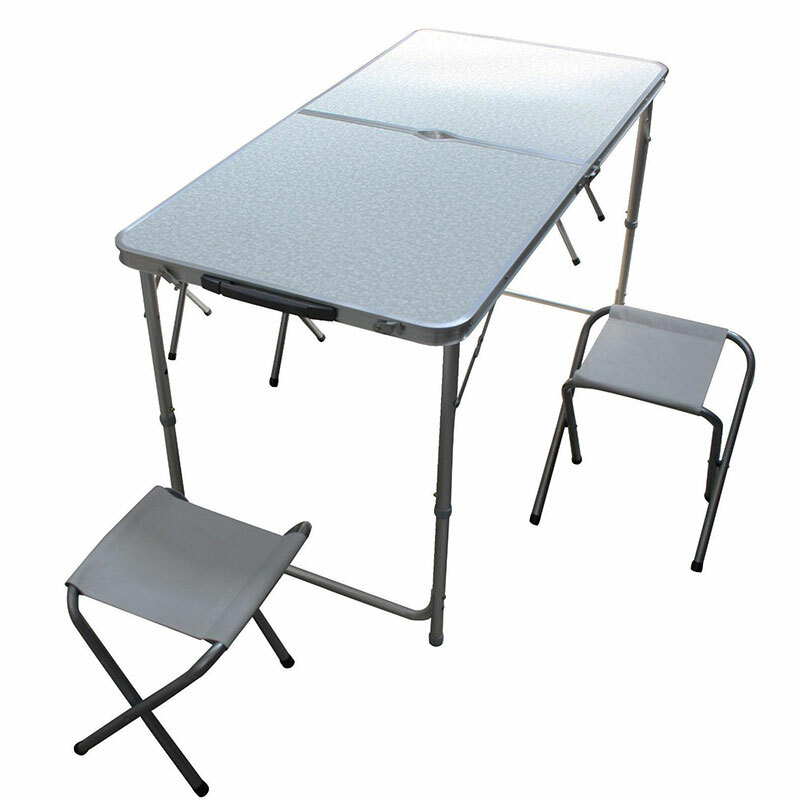 These rollaway camping tables are made of aluminium and are a portable folding roll table. 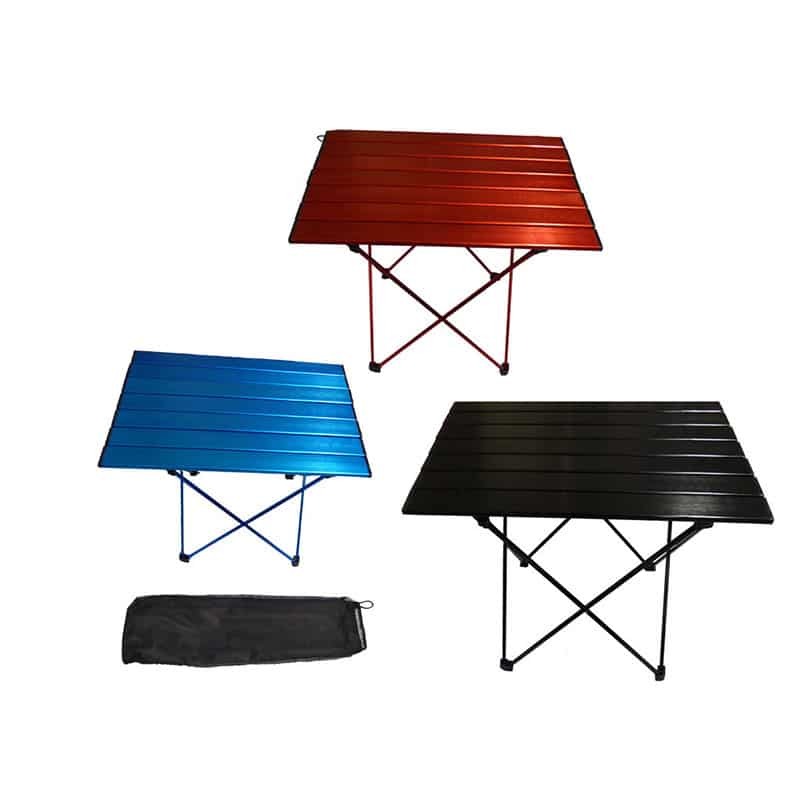 They have a beautiful dual aluminium colour with the choice of black, red or blue top and legs. The alloy construction makes it lightweight. 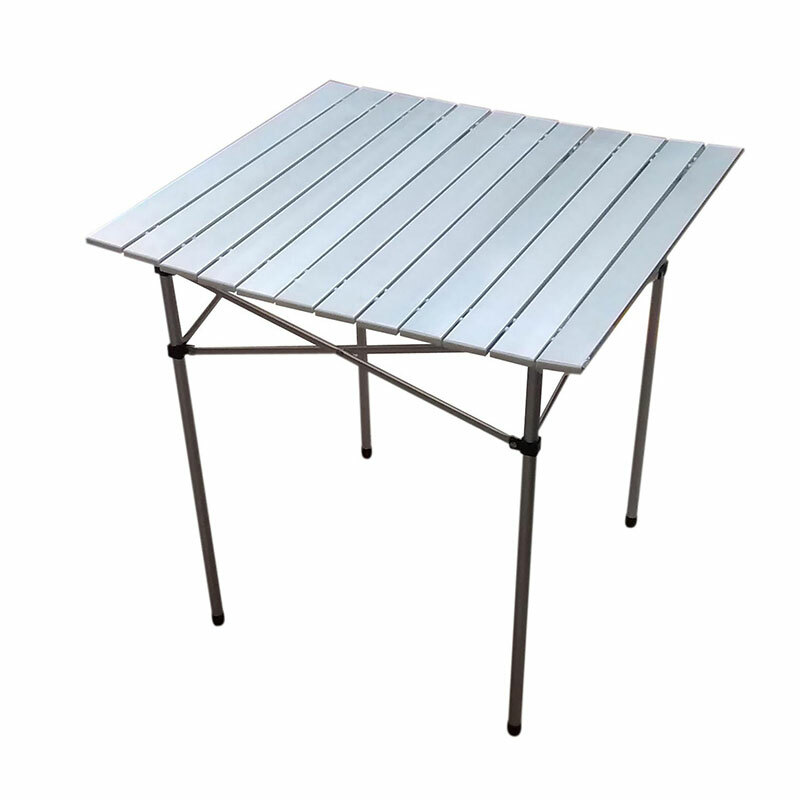 Supplied with carry bag for easy storage and transportation. 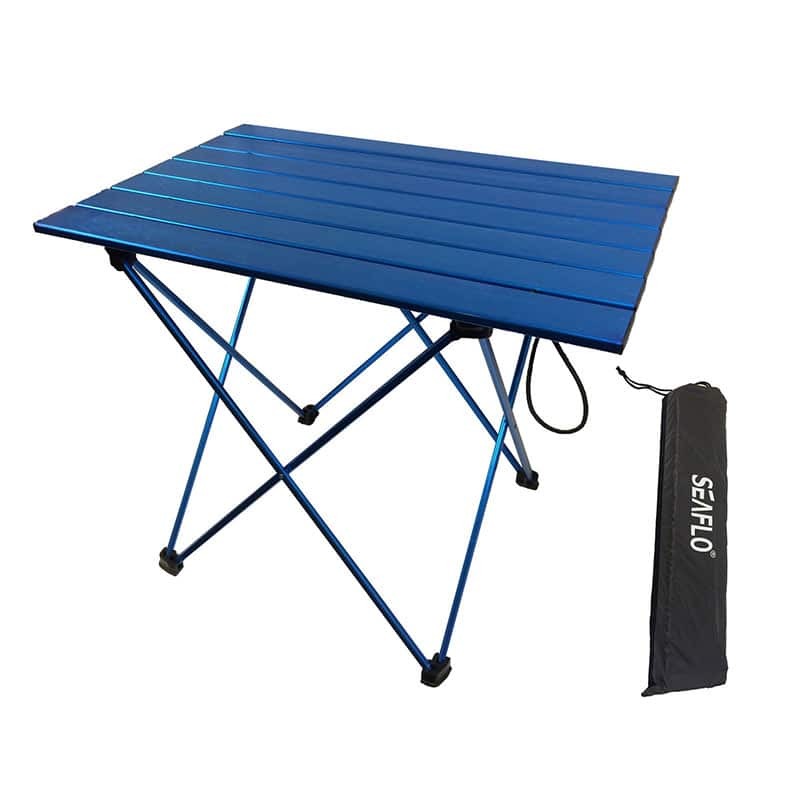 It has reinforced feet for extra stability. Size: 55 cm x 40 cm x 45 cm high. It is easy to clean, just wipe with a damp cloth. 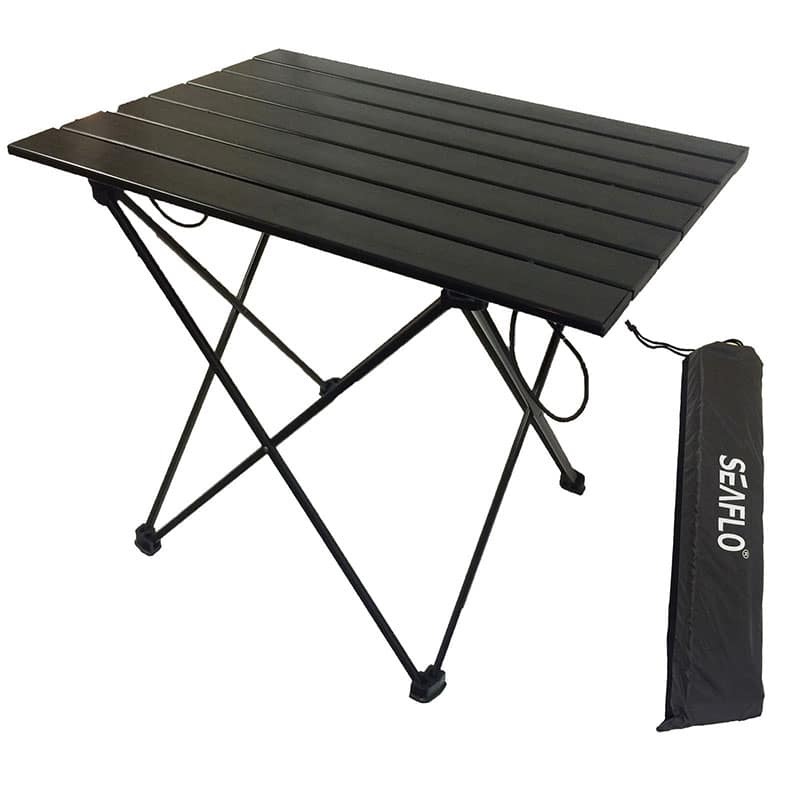 Ideal for caravanning, camping, motor home, boating, hiking, picnic and outdoor activities etc.